If you use a heat pump, you are familiar with its ability to heat and cool your home very efficiently with eco-friendly technology for exceptional energy savings. It is a durable, reliable unit that should perform well for many years with routine maintenance. If you do have problems with it, however, it could be something simple that could be resolved using troubleshooting techniques. 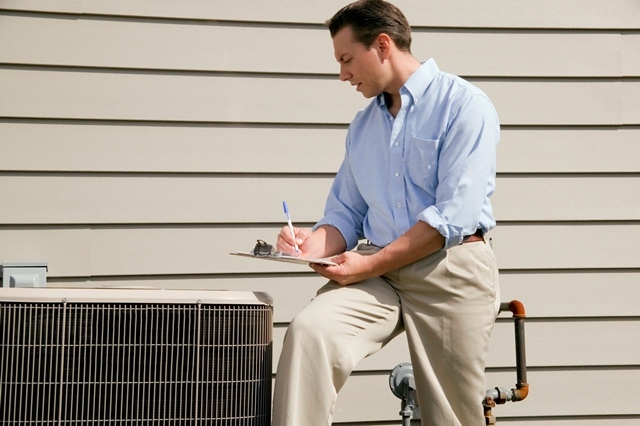 For major problems, or if you are not sure what to do, it is definitely best to contact your HVAC contractor. Your heat pump can provide many years of trouble-free service, but occasionally, something can go wrong. Even if you won’t attempt troubleshooting, it would be good to be able to explain what is happening when you make that call to your contractor. If the pump does not turn on, make sure that it is plugged in and that power is getting to the unit. Check the circuit panel in case the circuit breaker was “tripped” at some point. A dirty air filter or coils will cause airflow problems. Change the air filter and clean the coils regularly. If the unit is outside, be sure the area is free of debris or vegetation that could affect air flow. Check your system’s thermostat to be sure it is functioning properly and that it is set to the correct mode for heating or cooling. Look for any leaks, broken wiring, or other obvious problems. Adjusting the fan motor speed – inadequate temperatures or problems with humidity levels could be caused by too much airflow. If the system still isn’t performing well, the technician will check for a low refrigerant charge, scaling in the heat exchanger, a defective reversing valve, high head pressure or low suction pressure. An evaluation can be made on whether the unit is either too large or too small for your heating and cooling needs. If you need to have your heat pump serviced, call the HVAC professionals at Conditioned Air Mechanical HVAC Services today, at 281-201-0356. We can handle all your heating and cooling needs.